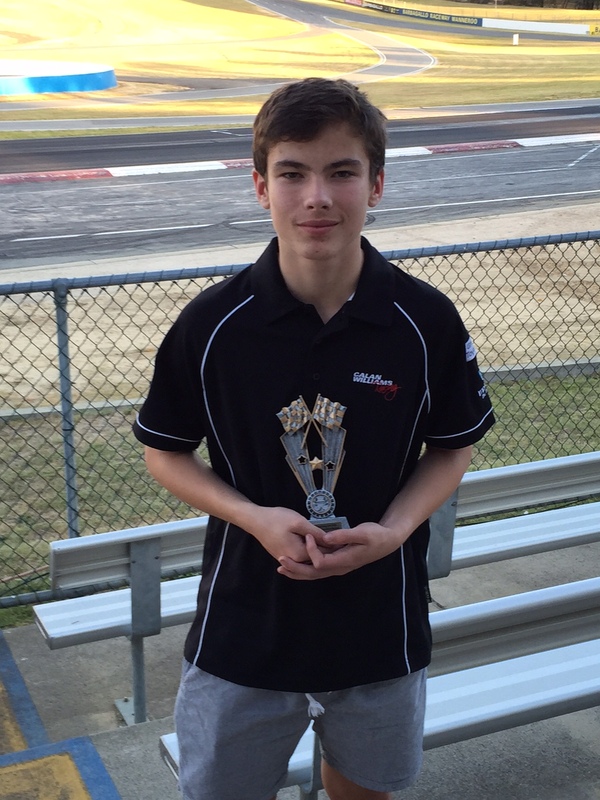 Pole Position and a Podium Finish for Calan Williams! 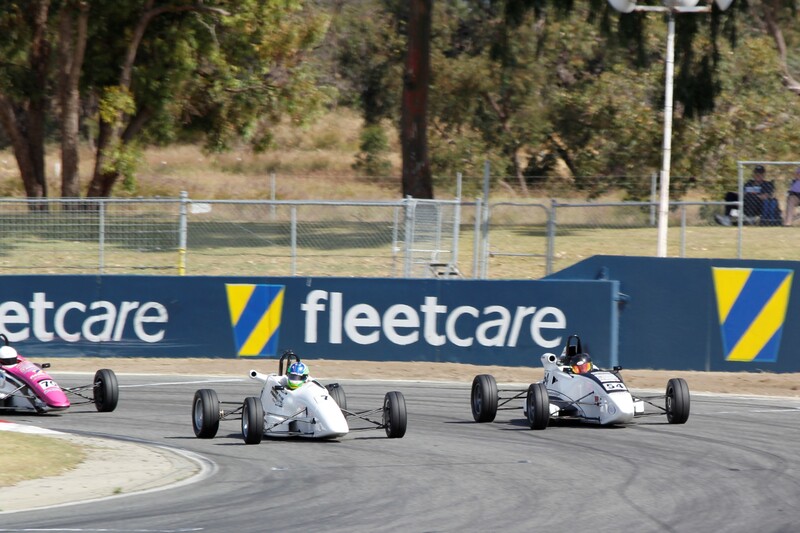 Today was the October (and final) round of the 2015 WA Formula Ford State Championship at Barbagallo Raceway. When we arrived at the track it was pretty cold with the threat of a thunderstorm during the day, but luckily that bad weather held off. 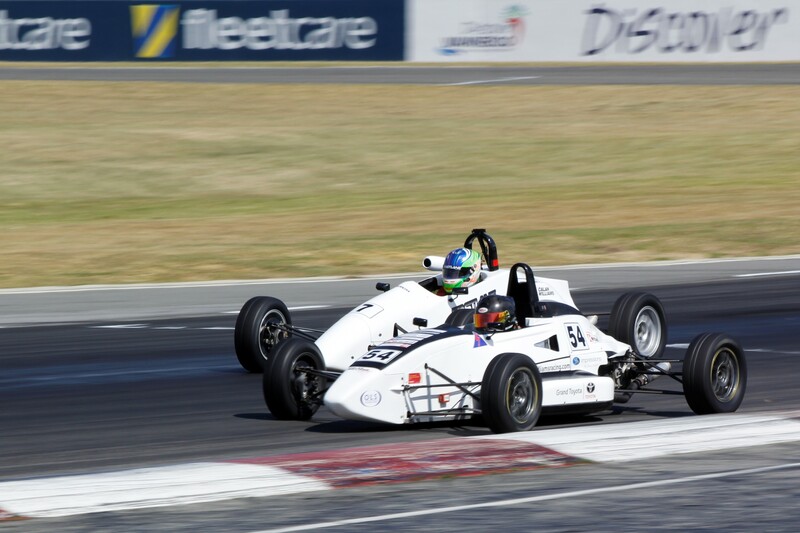 Qualifying was fairly hectic, and I had some difficulties trying to get a clear lap. However, I managed to get one in and it was enough as I qualified fastest by 3 tenths for my first Formula Ford Pole Position! Certainly a really good start to the day. In Race 1, I got a good start away from the line initially, however shifted into second a little late causing me to drop to second for turn 1. However behind us in the middle of the field there was quite a big incident involving 3 or 4 cars. This caused a red flag to the race whilst they cleared them away with 2 unfortunately out for the day. For the restart I got away much better and held the lead into turn 1 before falling to second over the hill. At that point I came under quite intense pressure from behind for 3 or 4 laps and managed to hold them off until I had enough of a break to set back off after the leader Ollie Baxter. I was steadily catching, however crossed the line in second place setting the quickest lap of the race. In Race 2 starting from P2, I got away well getting through turn 2 in second place, and then later in the lap took the lead. I led for the majority of the race, until Ollie had the chance to make a move on me at turn 7. I tried to hold on around the outside, however in the process I had to run wide of the exit kerb and had difficulty slotting back in. As a result I dropped from the lead to 5th in the space of 2 corners, however continued the battle to finish in 4th, again with the fastest lap. 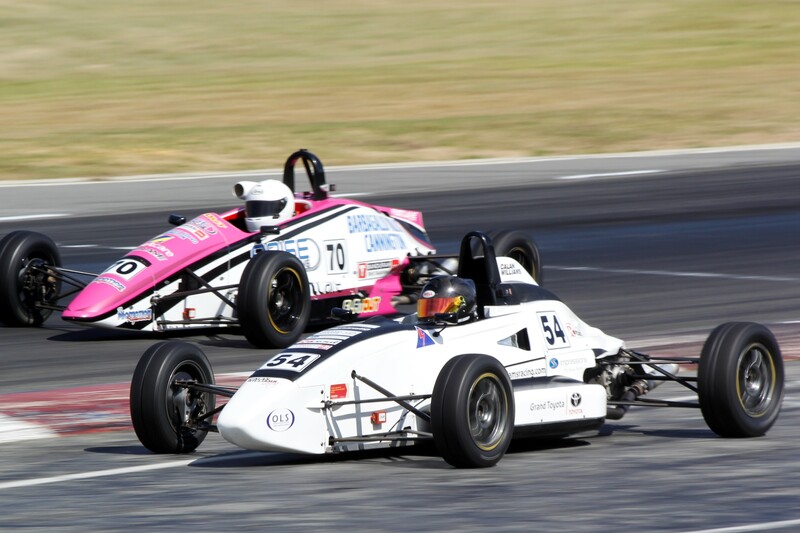 With two wins, Ollie Baxter went into the last race the clear leader, with myself and Tayla Dicker equal second on points, and Jason Youd just behind us. 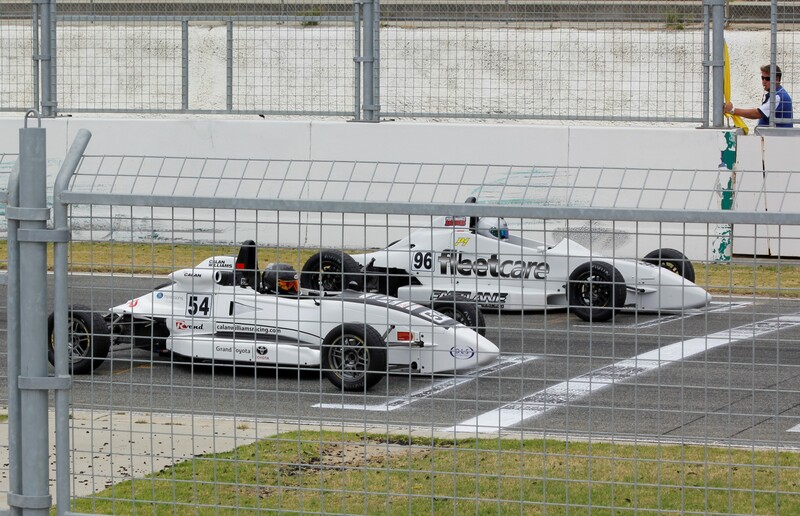 Starting from P4, I lost a position to Jason Youd at turn 1, but was able to regain it later that lap. 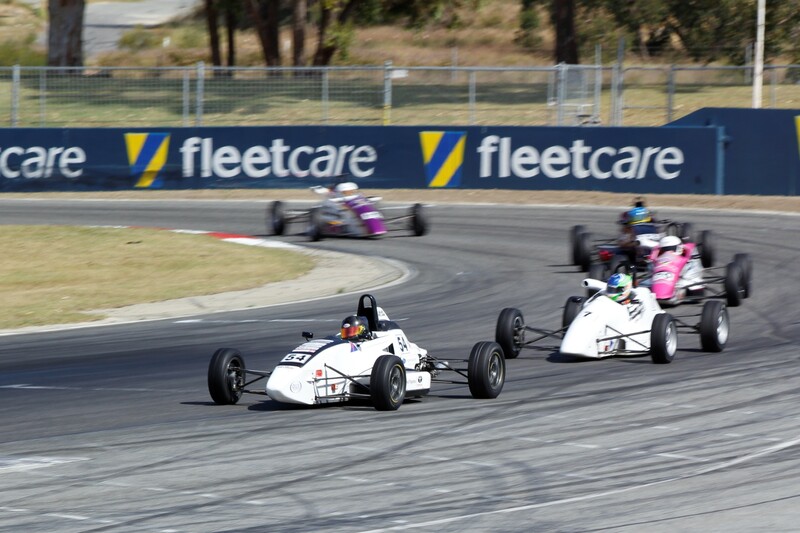 That set up a close train of cars with Tayla Dicker in 3rd, myself 4th and Jason Youd in 5th. For nearly the entire race I was making moves to attempt to pass Tayla, however she defended well. At the same time Jason Youd was close on my tail. I did my best, a couple of times getting close to making something stick around the outside, but not quite. It was an exciting race to say the least! I am very pleased with a podium 3rd finish, along with a Pole Position and two fastest laps in what is still only my 3rd race meeting. It was great to have so many there to support me today, and I would of course like to thanks all of my sponsors Impressions the Home Builder, Grand Toyota Wangara, Rvend, Kingsway Community Bank Branch (Bendigo Bank), Online Logistics Solutions, Signarama Joondalup, Fullwords Firesafety, Focused Recruitment and Genesis Fitness Joondalup Gate. 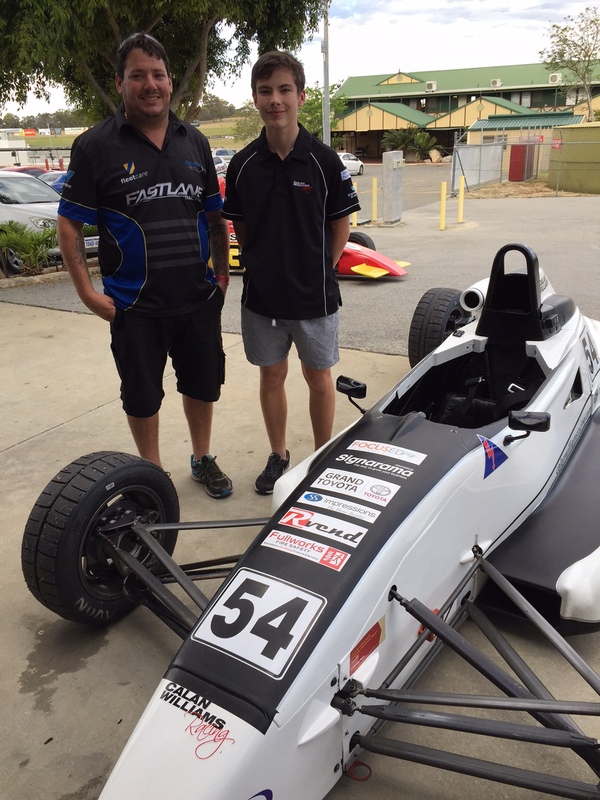 I would also like to thanks Adrian Fogliani for once again working with me today along with Brett Lupton and all at Fastlane Racing.